Sales training programs and sales trainer scripts. Home > Training scripts > Sales Training programs. 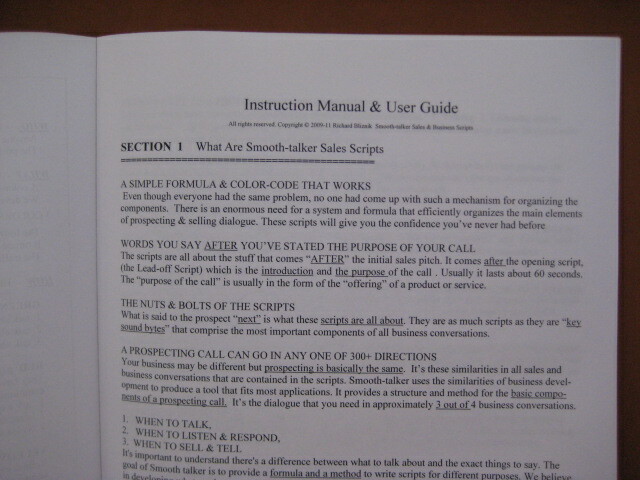 A sales script is part of a sales training program that will help you to have a successful career. 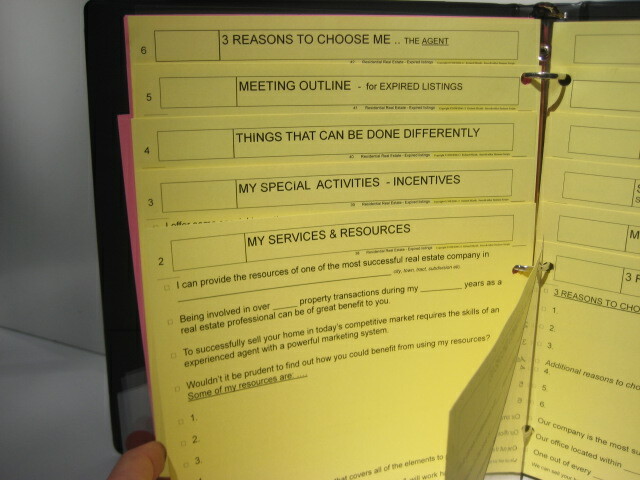 Sales scripts are a tool that every salesperson should have. Sales training programs should be designed for generating new business but it is the the weakest part of training process. Sales managers soon find out that salespeople cannot remember what to say when propsecting for new business. The sales training program lacks a written script to help them remember the over 300 things that they will encounter when prospecting. 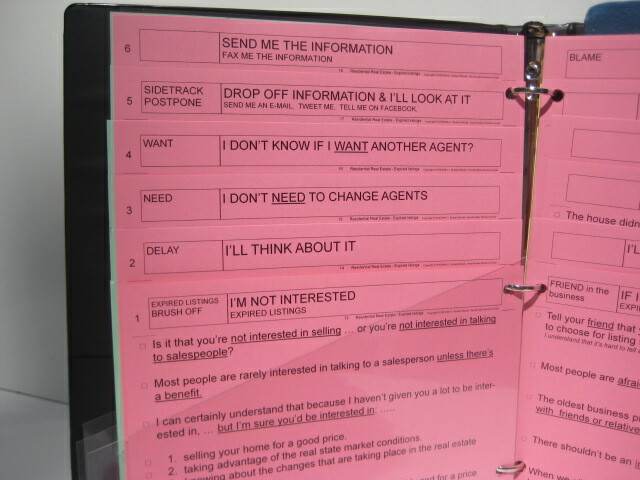 A sales script teaches salespeople to prospect using a new sales tool. Sales scripts to help you prospect by phone. The sales trainer program is meant for salespeople to learn prospecting. It's difficult to find marketing scripts to teach salespeople. It’s also hard to find a sales training that teaches salespeople how to write a sales script that works. No matter how good the sales & marketing training program is, salespeople often have a poor attitude toward telephone prospecting. It's not the fault of sales & marketing training program. 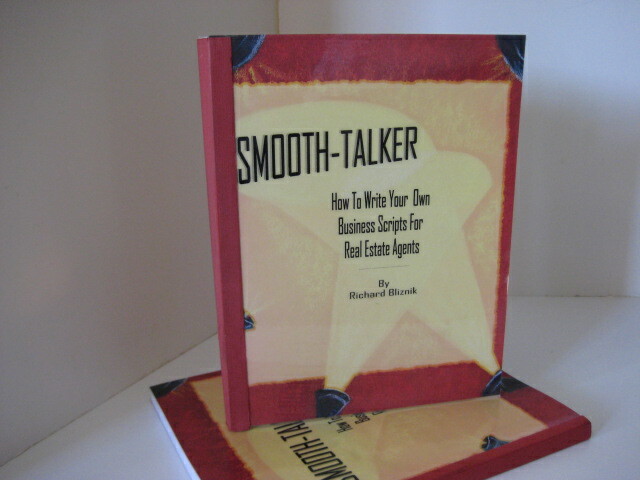 Sales Managers tell us that Smooth-talker scripts save them an enourmous amount of time. Sales managers often claim that half of their time is spent on retraining and teaching the things that they assume the salespeople had learned. Sales managers send their salespeople to hear expensive seminar speakers that are highly entertaining and yet they come away with very little they can use. Seminar speakers spend so much of their time amusing their audience with enjoyable topics that they leave little time for substance. Teaching prospecting is only a few pages in the training manual. To some sales managers, it's only a page of the sales training manual. We wouldn’t have this problem if there were a simple fix. But the fact is that most everyone has a general idea of what they intend to say in any situation, but spend little or no time thinking about "writing out every word" in advance. Salespeople don't develop speaking skills and sales managers cannot hope to solve this problem New salespeople get burned quickly when it comes to prospecting for new customers. It's hard to change habits of salespeople. They resist anything new. People live within their beliefs and rely on them and make their career decisions. New salespeople are incapable of learning what they need to learn. Their beliefs are passed on generation-to-generation resulting in obsolete thinking. Success depends upon skills and attitudes.I want to give new the rules for success to make you successful. 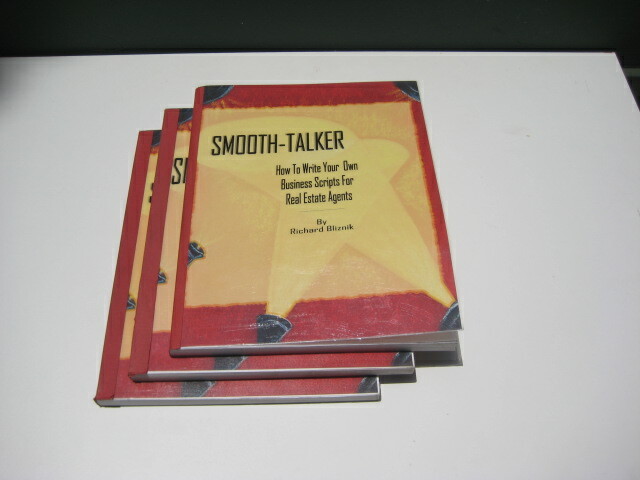 I want to give you the basic dialogue and capabilities for talking to potential prospects. I want them to have a tool (like Smooth-talker Sales Scripts) that they can use every day for the rest of their career. Salespeople are born with "emotions but not skills." Teaching salespeople what to say to a prospect is difficult. Sales people often can't remember what to say when making a telephone prospecting call. Inadequate skills and abilities often don't measure up. The cause could be that the sales training programs give lip service to the prospecting training. Memory recall of sales people is insufficient to retain skills. Having an insufficient memory is not a conscious choice but an inherent problem that everyone has. Sales training techniques are memory dependent. You waxed eloquently in your mind before you actually made a telephone prospecting call. Your thoughts seemed clear and the outcome you thought woul be positive. What went wrong? When prospecting, trying to remember the exact words to say is difficult if not impossible. Prospecting skills depend on having a near perfect memory. They were written from making tens of thousands of calls. I didn't use other people's version of dialogue, I wrote every word of the scripts that I publish. I wrote a book as a result of 38 years of experience in sales. After 20 years of being a real estate broker, sales manager, and trainer for a 60 agent office, I realized that salespeople resisted make prospecting calls. Fear of rejection was the reason. By not having a script to remember what to say to a prospect. The next twenty years, of my 40 year career, was spent in the front lines of real estate prospecting where I developed the scripts that I offer. Success depends on a sales persons speaking skills. The successful business person has a command of the language is based on having a huge number of words imbedded in their memory. Successful business people have a better chance for choosing the best words to use because they have a bigger selection to choose from. Experienced salespeople often refuse to learn. "I know all I need to know." Adapting a new sales tool for prospecting. No matter how hard you try they will not adapt new marketing tool unless they really want to. It's the same with salespeople. Many companies keep trying the same old tactics and wonder why they can't achieve results. New rules of marketing have resulted in a shift in sales training methods. It's a new trend that many sales managers and sales trainers are unaware of. Written for sales training courses for teaching agents how to prospect using the telephone. Sales managers give good advice when they say to listen to the following; It’s always good to “know what you don't know.” When you find out what you don't know, you have a clear path and a vivid picture of what you'll need to do. Sales training tactics have changed. Trust, values, and high relationships have been rekindled in the business prospecting. Gone are the days of high pressure tactics, low ethics, and a "me first attitude." The type of salespeople sales managers are looking for. A sales managers most important job is to find training tools that will be effective. Sales manager are always on the lookout for a person who has the natural ability to be a salesperson. It may take a sales manager weeks or even months to hire and train a new salesperson that turns out to be only a "limited function person." It’s not a matter of sales people going back to basics, they didn’t master the basics to begin with. How adults learn. I just knew that my degree in Business Education from Eastern Michigan University would come in handy someday. Having studied how adults from all walks of life learn once they are out of highschool and college. Writing the scripts has tought me that adults prefer something simple, effecient, and easy to learn. That is why I chose to write sentences with 10 to 20 words that are easy to speak and are trouble-free to listen to. I try to use one-syable words and avoid long complicated sentence structure. Strong sentences loaded with impact words work best for prospecting. It would take years to write your own scripts. It would take months of intensive speech training to commit all of the lines of dialogue in a Smooth-talker script to memory. Mastering all of the "1-liners" would be a monumental undertaking, much like an actor or actress memorizes all the lines of a motion picture script. That training is costly and time consuming. Purchasing a Smooth-talker script eliminates the expense & time commitment of training by having a script to refer to when it is needed. Salespeople have a technical knowledge but not much in the way of skills. Sales managers have always thought that motivation problems were the result of the way that a salesperson doesn't like to makes prospecting calls. They point to many weaknesses instead of main one, fear of rejection. Fear of rejection is a weakness in everyone, it’s just a matter of degree. The people available today for sales training, primarily gen-xer's, feel entitled to a 9 to 5 job with perks such as a great deal of time off for hobbys. Salespeople that can't prospect are well-mannered "order takers" and prefer to avoid any discomfort such as .. REJECTION!" Anyone can afford the scripts. I decided that I would make it my mission to bring the cost down to an affordable level. My goal was to make sure that even small business professionals could afford propecting scripts. I wanted to provide high quality prospecting scripts at reasonable prices that anyone could afford. Script consultants are nearly impossible to find. There are plenty of speakers, authors, and self proclaimed experts that will give you advice on what to say to a prospect except that a don't have anything written down, organized, and usable for the salesperson down on the street. Even if you could find a busines script consultant to help, producing a sales script and prospecting script would require too much time and money. Sales training programs teach you how to make prospecting calls. Sales training courses are written to say the proper words to contact potential prospects for the purpose of getting new business. Sales prospecting scripts are written so that 3 out of 4 people that receive calls can understand them. The chapters on script writing are the most important chapters in instruction manual. People tend to use the sales training tools they get in business training classes. Scripts ensure that a uniform message will be delivered. Sales scripts insures that salesperson give the same uniform message, guarantees, and policies that the company must stand behind. When you are skillful with the words learned sales training programs, you don't have to constantly sell, use pressure, or be manipulative. The elements of a sales training program. Getting new business prospect involves selling the features and benefits of a product or service. A sales managers script for training just adds the proper elements to every prospecting situation. If you can remove the fear of the prospecting call, your business revenue will increase. 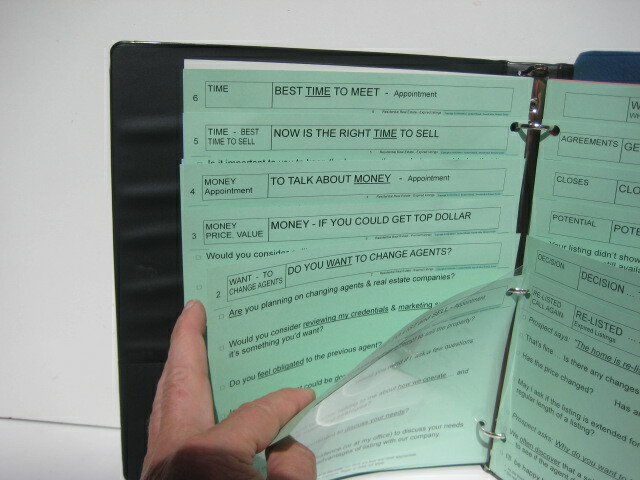 Door to door selling is costly and time consuming. The days of door to door prospecting are just not practical. It's not that it's inefficient; it's the cost that has escalated making it difficult to add the personel touch. Sales training programs try to identify where the call contact takes place in the marketing effort. Chance's are that making prospecting telephone calls is usually the biggest problem in your sales training program. The sales managers problem is that they are always repeating themselves. Sales trainers must cope with the high cost of training sales people. The sales training is meant for salespeople to learn prospecting. It's difficult to find training scripts to teach salespeople. A whole new kind of savvy sales manager with sales script writing skills is emerging. Sales managers claim that half of their time is spent on retraining and teaching the things that they assume the salespeople had learned.